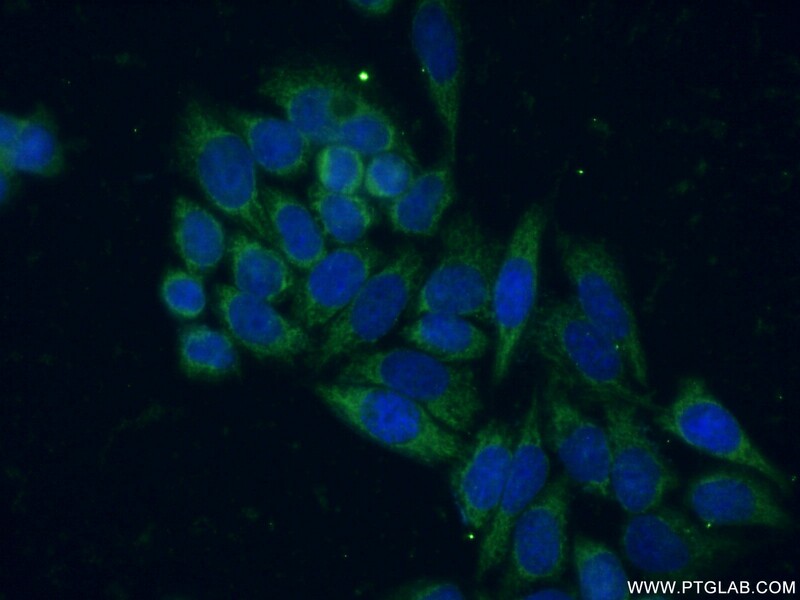 IP Result of anti-SIRT5 (IP:15122-1-AP, 4ug; Detection:15122-1-AP 1:500) with mouse liver tissue lysate 6000ug. SIRT5, a member fo sirtuin family that is a mitochondrial matrix NAD(+)-dependent deacetylase and mono-ADP-ribosyltransferases. Sirtuins play important role in various cellular processed, such as aging, gene silencing and metabolism. 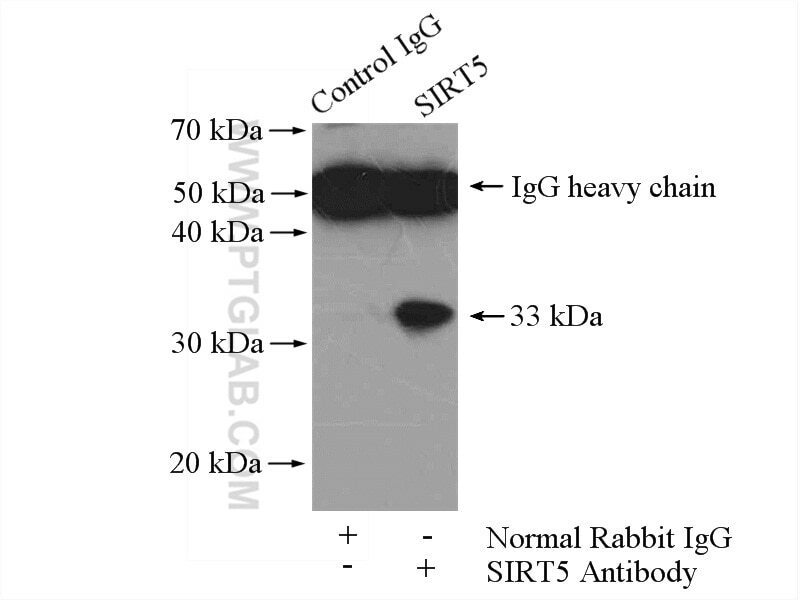 SIRT5 mainly locates in . It is an efficient protein lysine desuccinylase and demalonylase. During prolonged fasting, it can activate CPS1, the committed and regulated enzyme of the urea cycle, and contribute to the regulation of blood ammonia levels. SIRT5-mediated SDHA desuccinylation promotes clear cell renal cell carcinoma tumorigenesis. SIRT5 deacylates metabolism-related proteins and attenuates hepatic steatosis in ob/ob mice.